We were so happy to meet you at the Forum and have so much quality time to get to know you and the other members of the Small Is Good World Working Group. This was surely the start of a number of lasting and rewarding friendships. Muji's need sound like a perfect entry for the Offers and Requests forum that Michael and Christina are hosting. Why not post a copy there and see what happens. Also don't hesitate to ask around among friends, especially 'Road Warrior' type business folk. Laptops have been around long enough now and the price of new ones have fallen to the point that folks are replacing them before they stop working. Again, great to meet you and we'll do what we can to help you spread the word about Muji's need for a computer. Monica, you are the best! Monica, you are a true inspiration to all of us here on Social Edge! You have learned so much so fast. You are like a thirsty sponge for new ideas and information. We all can learn a lesson from you about life-long learning. We are so happy that Christina was able to get the laptop to you. She must have looked like a pack animal with all the stuff she was lugging back from Oxford! Your ideas about creating a "cloud" of inter-connecting links among LiA member pages is excellent. We have learned a lot, too, about writing simple but effective HTML pages. We will send you some samples and ideas that you may find useful. Monica, you have made us so happy to know that you and your sons will be able to make good use of the laptop. We put a number of excellent Open Source applications on it that you will find useful in your work with Christina at the LiA Webbed Empowerment Center. More, soon... We, like Christina, are anxious to see your new Social Edge profile picture with your Idea Incubator on your beautiful head! Enjoy the computer and we look forward to working with you in your mission as a great Internet4Change Agent! Albert-Laszlo Barabasi tells us in Linked: the New Science of Networks that 'everything is connected to everything else' in the world. We live in a complex, interconnected system - in business, science and every day life - that is best understood by the study of networks. Networks - what they are, how they develop, operate, sustain, and expand - are of keen interest to social entrepreneurs in the Small Is Good World Working Group. Without the power, prestige, or money of a large business, non-profit or academic organization, our chief means to change the world is through developing and maintaining our networks of relationships and by using influence, without authority, across these networks to accomplish our desired agendas. The Forum workshop on Networks for Learning, chaired by Gordon Bloom provided good insights into the work of four very different social entrepreneurs using networks to accomplish four very different agendas. In 2001, James Austin, founding leader of the Social Enterprise Knowledge Network (SEKN), set out to develop a "social partnering in South America" - a network of leading Latin American business schools and the Harvard Business School in partnership with the AVINA Foundation. The emphasis is on inter-institutional collaboration to strengthen research and practice and to develop case studies and teaching materials for 103 courses in social enterprise in Latin America. Dr. Austin shared with the Forum two key best practices for large, cross-cultural, professional networks he learned while developing and managing the SEKN network. Be alert for diseconomies of scale - complexity could over-tax the ability to manage it. Resources will be needed just for network management. Allow time, energy, resources to discover network management best practice - what works, where, how, why and can it be replicated. Next up was Tariq Zafar Executive Director of Nai Zindagi, Pakistan. Nai Zindagi (NZ) is a non-profit organization providing services to marginalized drug users in Pakistan since 1990. NZ's great strength today is its ability to develop close relationships across communities of drug users and their families. These local networks have provided a deeper understanding of the values and needs of the communities involved and allow NZ to provide appropriate, needs based and holistic support to its clients. Mr. Zafar shared his best practices for local, community-based networks of drug users and their families. Three years is too short for a program to make a real impact; it takes time to understand the clients' issues, to establish trust, and to develop a local network. Charlotte Young, Chair of the School for Social Entrepreneurs, London spoke next. SSE provides training (e.g., fund raising, marketing, business planning) and opportunities (e.g., to grill expert witnesses, policy-makers, politicians, and funders) in an action learning system to enable individuals to use their creative and entrepreneurial abilities more fully for social benefit. Learning is small group and network focused. Ms. Young shared her experiences for tapping the potential of every day people for social change. One of the most powerful presentations of the entire Forum in our minds was made by Jacek Bozek, Founder and President of Gaja Club, Poland. For Small Is Good World social entrepreneurs, Jacek is truly a role model. In 1988 (pre-democracy Poland) sitting atop a tree in the center of his home city of Bielsko-Biala to stop bulldozing for development, his passionate love for the Earth and Nature found focus. "I had no experience, and neither did anyone else in the country." With no knowledge of how to organize, fund or lead an organization or to meet policy makers, politicians and government decision makers, Jacek started with what he knew. He focused attention on the local level and began building networks of relationships. When he didn't know how to do something he found someone who did and asked for advice or collaboration. When he wasn't sure how to approach government officials he asked network fellows to give him some help. In 1989 Bozek and four friends formed the Gaja Club, an informal group that promoted forest protection and animal rights. In 1994 the club added eco-friendly development of the Vistula River. The Vistula basin covers more than half of Poland and is home to 220 bird species, including 60 percent of Europe's white storks. But the Vistula a is becoming really polluted. By focusing on the economic benefits of providing hiking and biking trails, camping and fishing grounds along the river, Club Gaja has sparked the interest of at least 20 local communities to pressure government for re-evaluation of the Vistula River policy. Through constant development of networks of relationships among youth, scientists, other NGOs and local community leaders, Bozek has grown Club Gaja into an international organization that works in the small, at the local level with local networks. Jacek Bozek has a heart full of passion for Nature, for the Environment, for the land he so loves in his native Poland. The key lesson he gave us as he wrapped up Workshop 4 is this: When your heart is so full that even words cannot express it -- you sing what you feel, and you get up and dance! And Mr. Bozek did just that! Few of us knew the words he was singing, but his love for the land was universally understood. 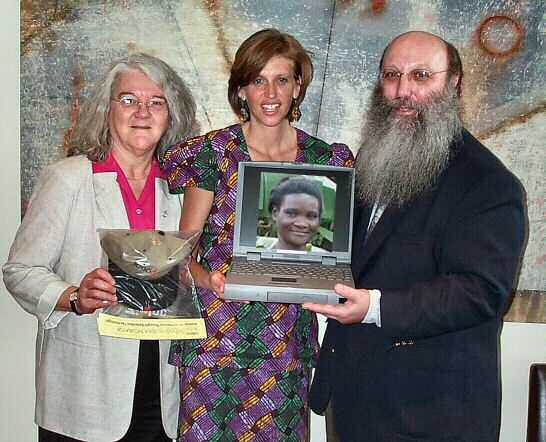 When we learned that the Webbed Empowerment Center of Christina Kirabo Jordan's Life in Africa Network needed donations of computers, we went digging in our closets and found a laptop that was beyond its usefulness to us but still fully functional. We wrote an email to Christina and told her that we wanted to give our laptop to an Individual not to the Center. We explained that our donation would come with a personal committment from us to establish a long-term and meaningful social and economic relationship with its recipient. Christina wrote back and explained, "I have just the right person for your laptop. And you two will love her. Her name is Monica Nankoma, the first Internet4Change Agent!" Through tireless self-motivation, Monica Nankoma has worked her way into being Christina's hardworking and able assistant. Monica proudly and rightfully describes herself as the first Internet4Change Agent, a growing core of computer/Internet-able folks that the WE Center is preparing to transform the lives of individuals and their communities across Africa. Through her hard work and continuous learning, she is making a new and better life for herself, her sons, and her community. Through her work with Life in Africa, Monica is becoming a changemaker contributing to a better life for all of Africa. Throughout the week prior to leaving for the World Forum, we carved out hours to rebuild, test, and refine the operating system and applications on the laptop that was soon to find its way to Uganda. We found Open Source applications that we knew would be useful for Monica's work and a few games for her and her children. If we had donated our old computer to a typical computer recycling service, we would have been content to simply pack it up and hand it off to the service for processing and redistribution. But in the Small Is Good World, this was not simply an old computer destined for a faceless recycling program. This computer was soon to be Monica's laptop. And it was more than just a laptop. It was the first exchange between us and someone whom we want to get to know and have in our circle of friends and fellow changemakers. So before we passed along the computer at the hotel in Oxford, we sat and talked at length with Christina who told us all about Monica and her two energetic sons, and of the challenges they face in a world that is so much different than our own. By the time we closed the cover and packed it up for the trip to Uganda, we felt we already knew Monica and she was now a part of the Sohodojo family. As icing on the cake along with the laptop, we sent a Sohodojo Idea Incubator It is actually a baseball cap but when worn on a head filled with creative promise, the Idea Incubator is guananteed to generate Big Ideas for the Small Is Good World. And as we sat on the plane, winging our way back to Iowa and not having to worry about the longitude calculations that would bring us safely home, we wondered how long it might be before we can muster the resources to get ourselves to Kampala. We met our goal of getting to Oxford for the World Forum. 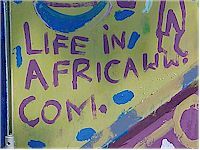 Now we have a new goal to see our Idea Incubator on Monica's creative and hard-working head, and to work with her and Christina to expand the Life in Africa WE Center as we help swell the ranks of Internet4Change Agents! Prior to the entrepreneurial and scientific accomplishments of John Harrison – the tireless Englishman clockmaker who won the Longitude Prize in 1773 – it was all but impossible to know the degrees of separation between the spots on the globe that would become known as Jefferson County, Iowa, and Kampala, Uganda. In Harrison's time it is likely that there were no 'Friend Of A Friend' connections between the people living in the heartlands of North America and Africa. Virtually all social and economic networks were local networks based on face-to-face interactions. We had not yet entered the era of the Network Society and its associated Network Economy. While it took a relentlessly committed father and son team to do the work that solved the Longitude Problem, it was the Big Is Good World of nation-state economic and military interests that provided the Prize as stimulus to Harrison and others who sought the solution to global navigation. It was the Big Is Good World that put the Harrison clocks to work spreading nation-states' self-interest around the world. Last week we sat with Christina Kirabo Jordan in a hotel lobby in historic Oxford, England during a break in activity at the Skoll World Forum. We were living testimony to the revolutionary changes that have transformed our world and made it possible for the first time for the Small Is Good World to be as global and influential as its complement, the Big Is Good World. Today, the very information, communication and transportation technologies that continue to serve the Big Is Good World are equally applicable to the emergence of a global and changemaking Small Is Good World. The Small Is Good world is a world of the empowered Individual. It is a world of peer-to-peer interpersonal social and economic networks that provide an alternative to the world dominated by monolithic organizations and nation-states. It is the Small Is Good World in which we forged a social and economic link between ourselves and a wonderful mother and her sons in Uganda. In social network theory, the phenomena that links each of us to each other is called the Small World Effect... the so-called six degrees of separation between us and any other person in the world. The Internet and on-line communities have helped to make the world an even smaller Small World. As we sat with Christina in Oxford and got to know about Monica, the already short path of one-degree of separation between us and our new friend Monica was fast becoming a zero-degree direct connection. Part 2 of this story tells about Monica's laptop and the Small Is Good World. One of the absolute highlights for us this past week was the official launch of the Small Is Good World Working Group at the Skoll World Forum on Social Entrepreneurship. For over a year, a few of us have been mutually supportive of each other as we each work tirelessly to advance our social missions. (l. to r.) Michael Chertok, Timlynn Babitsky, Toby Beresford, Christina Kirabo Jordan, Jim Salmons, and Pam McLean. While our activities are spread all over the planet, we share a common bond of celebrating the empowerment of the Individual and collaborative networks of individuals. We work in a world which is less organization-centric and more network/ecosystem-like. We tend toward integrated, holistic community development strategies rather than focus on silo-like problem solutions. And, perhaps above all, we celebrate life and strive to enjoy ourselves and others as we work together to solve our collective problems. At this year's Skoll World Forum on Social Entrepreneurship we achieved critical mass by getting our initial group together to bond through sharing time and space together in a way that cannot be duplicated only through e-mail and web site posts. We truly had many moments that will be treasured for the rest of our lives and that will bouy our spirits as we each return to our homes and our life's work. Thank you, Jeff Skoll, the Skoll Foundation and Social Edge staff for making this past week possible. The Journey is just beginning! Great post about the importance of networks and remembering to put our 'advertising/marketing' hats on to increase our networking effectiveness. We espeically liked slides 10-12 of your presentation where you talk about how important it is to link network hubs to other hubs. Such grassroots strategies can certainly "spread the wealth" if, as you say, folks are savvy enough to understand that 'win-win' strategies can be more effective for all than using "I win, you lose" protectionist tactics. Thanks, Daniel, for posting this insightful information... now if we could just talk you into including a profile image of yourself, then we'd all have a better sense of the person behind the font of information you continually provide the Social Edge community! Special kudos to the Said Business School MBA students who presented Case 3 this morning. Despite everything else going on and all the ways in which you each had been pressed into service to help with the Forum, you did yourselves, your school, the Skoll Foundation, and Jeff Skoll proud! First, you did something that many of the other presenters had found impossible - you were able to distill your months of research and effort into SIX MINUTES - project described - complete, cogent, well detailed, and well done. That alone deserves a standing ovation. So many presenters felt severely challenged by the time constraints of trying to say what they wanted to within their 10 minute allotment. Next, each team did a great job of presenting your work and especially of answering the tough questions that came your way from the packed room of observers. And you did get some tough questions! Both the Biodiesel in India and Said MBA Venture Philanthropy Fund projects have a great deal of promise. Whenever it's relevant, please share with the rest of the SE community the great projects on which you are working. It will be interesting to keep track of these two projects over time if you decide to pursue them. For us in the Small Is Good World Working Group we were very happy to meet you and to have the chance to talk with you during the Forum. We know Keeley will continue to share with us all on SE, now we want to hear more from Sujeet, Henry, Jesse and the rest of your excellent teams. When our plans started shaping up to attend the Skoll World Forum, Christina Kirabo Jordan told us that she was so excited that we would have a chance to meet a dear friend of hers who would be presenting at the conference. Margrethe Junker is a Danish doctor living in Uganda. Like Christina, Margrethe is an Ashoka fellow. 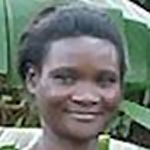 Not content to work only on the disease, Margrethe became convinced that fighting the pandemic of HIV/AIDS in Ugandan women required that she treat the whole person, and by extension, their families. Project Reach Out (no web site yet, but here's a project description in PDF format) began in May 2001, servicing 14 clients. By 2004, Reach Out was serving 1650 clients. Project Reach Out provides job skill training and arranges employment for its patient/clients who learn to make clothing that is Afro-Euro stylish. 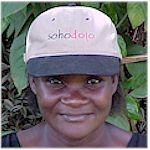 As Sohodojo and MicroAid evolves our work with Life in Africa Network, we'll be building connections to include Margrethe's dressmakers into our Small Is Good World Marketplace. Margrethe and the Reach Out Fashion Coop is yet another piece in the evolving social business ecosystem that is getting its start here on Social Edge. In the "Mobilizing People to Support New Ways to Work" workshop, moderator Charlie Leadbeater related a fascinating tale of his experience visiting what has been described as one of the world's most creative city, Curitiba, Brasil. Charlie showed a photo from his visit of a man with a bicycle pulling a cart piled high with bags and bags of trash... an almost Dr. Suess-like character dwarfed by the rubbish he was hauling. When Charlie engaged this chap in conversation, he learned that this micropreneur was an independent rubbish collector. Not too unusual that. You might expect that he scavenged trash by the roadside or near markets. Not so. Each house has a trash shelf on their fence or back wall where bags of trash are left. The industrial-urban trash trucks -- there are only a couple of them, too few to adequately cover the whole city territory -- are scheduled to go out in the late afternoon. Until then, all trash is fair pickings. Hundreds, perhaps thousands, of micro-enterprising individuals hit the streets in the early morning and preemptively haul the trash to the munipal deposit sites where they are paid for their efforts. Bottom line, Curitiba is spotlessly cleared of rubbish, lots of jobs are created, and the flames of the entrepreneurial spirit are fanned by a most unlikely means imaginable. How does your city stack up with Curitba in terms of recycling, public transportation, and other municipal services? Check out these Curitiba links to learn more. Hello, K.L. You're in, of course! Of course you are welcome as a member of the Small Is Good World Working Group! We missed your smiling face in Oxford. As we recall, you are heading to the International Social Entrepreneurship Research Conference in Barcelona, Spain later this month. So we can understand that you could not make two international trips back-to-back. We also know that you have had a most interesting paper accepted for presentation at this important conference. If you don't mind, you might tell folks about your paper and how it relates to the Small Is Good World perspective on social entrepreneurship. Absolutely Toby! Trying to get the attention of the mass media may not be worth the cost of the effort. Joel Podolny suggested in Networks as Ends not Means that we avoid trying to get participation in our community agendas from people who do not share our values. The cost of time, effort and resources to get their attention may not be worth the response (non-existent, lukewarm or fleeting as it is likely to be). It is much more efficient and effective to spread the word about our social entrepreneurial agendas through our grass-roots media - through the network of connections of those who we have already found share our values (direct contact, newsletter subscribers, list-serve members, etc.). These already-interested individuals could pass the word on through their social networks about your project or news, to others they believe would also be interested. In this way an interested community can really begin to grow. Mass media has a job to attract the interest of potential consumers of more of their programming/newspapers/radio time, etc., or of their sponsors products or services. Whatever they choose to spotlight for coverage has to appeal to a large enough segment of their audience to keep them in business. With so many broad interests out there, it is truly like panning across a stadium of projects, but hovering for only a moment on any one. Research claims that we are only separated from any other person in the world by 6 degrees of connection -- that is, by a friend of a friend of a friend.... If that's the case, then as social entrepreneurs we should be able to mobilize thousands of others in the world with us who share our values and have interest in our agendas through the networks in which we already participate. The real issue may be not so much how to get the attention of the mass media -- which at best can only be fleeting -- but how to make better use of our grass-roots media - the networks of connections we already have. Toby, what kinds of strategies has MicroAid been using to grow the network of newsletter subscribers or list-serve folks? How about you Christina? What are some of the strategies you both have been using at the grass-roots media level that have worked well for you? K. L.? Pamela? Michael? Jump right in with suggestions and ideas! Small Is Good! The panel on Social Venture Networks - An Academic Roadmap was interesting. As its title implied, this was not a session for the faint of heart. A handful of distinguished faculty researchers from Oxford and Harvard gave a time-compressed overview of the state of the art in social network theory as it pertains to the social sector. It was a bit too much like being back in graduate school! We met as doctoral students in the Mathematical Social Sciences program at UC Irvine in the 1980's. There were the formative years of the area of study that is widely known today as social network theory. We, of course, studied what is called the American school of social networks, essentially graph theory applied to sociometric data to map interpersonal relationships, etc. The British or European school can be characterized as Actor Network Theory or ANT. ANT models map to human and non-human actors (agents) in a system. An ANT model looks more to us like a process model or, in the domain of business, like a general business model rather than a person-linking-person social network. That said, there are aspects of the panel's discussion on ANT networks that rang true to those of us interested in the Small Is Good World. Sarah Whatmore, Oxford Environment and Public Policy Professor, described her networks-related work on food economies as involving linkage paths that provide product source trace-ability and validity. Being able to trace a specific slice of meat to a particular cow is an important factor in quality control for organic and specialty agricultural products. The "Who, How, and Why" alternative markets of the Small Is Good World need similar trace-ability and source validity. Harvard's Management Professor Karen Stephenson went on to talk about Exchange Theory, trust, and its impact on organizational form. Network "DNA" can identify Gatekeepers, Hubs, Outliers, and Pulsetakers. Trust again is key to network cohesion and effectiveness. Such network dynamics are crucial to the effectiveness of the decentralized and distributed supply chain networks of the Small Is Good World. The session wrapped up with Oxford's Alex Nicholls describing Actor Network Theory as ecosystem-oriented. Spot on, Alex. As anyone who follows our posts knows, the Small Is Good World is about an emerging community of soloist and small groups of social entrepreneurs who collaborate in networks that we describe as social business ecosystems. It looks like we will have to dig a bit more deeply into ANT as a descriptive model for describing our collaboration between Sohodojo, MicroAid, and Life in Africa Network! K. L. - Welcome to the Small Is Good World Working Group. You have been in our thoughts while we drank in information from several of the workshops and presentations. Fear Not, the plight of poor people and environmental damage in developing countries like India is in the minds of a number of people we have met and spoken with here at the Forum. Among the number of things we will be writing about over the next days and weeks as we debrief from the Forum is one of the Said Business School projects in social entrepreneurship which you may want to start tracking. The students have developed a biodesel in India project that uses jatropha (a weed) to generate biofuel. According to their presentation jatropha has more oil output than even soy, grows wild on arid and non-arable soil and produces an oil cake at the end point that can be used a fertilizer to help 'green' the region.You'll hear more about this over the next days and weeks.